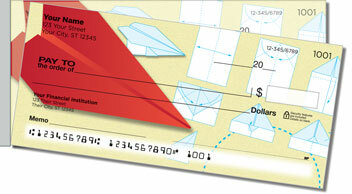 Look on the bright side -- when we created a set of checks honoring cheap amusements that you can make out of paper, at least we chose airplanes, not spitballs! 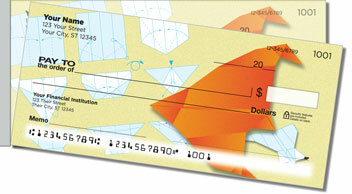 Introducing Paper Airplane Side Tear Checks from the Fun & Games collection at CheckAdvantage. Launching ultra-light aircraft like these may have bought you some time after school in your younger days, but the laughs you got for your trouble were definitely worth it! 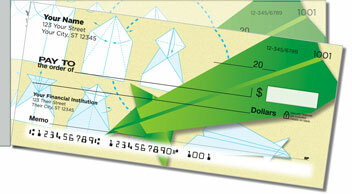 Now you can get a refresher course in folding paper airplanes every time you write a personal check because our Paper Airplane Side Tear Checks come complete with step-by-step diagrams for building your own bird! 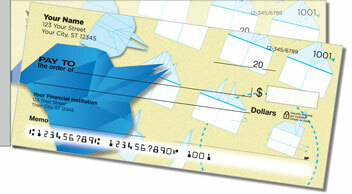 We also offer this high-flying design as a set of return address labels to match your new checks. Personalize yours today!